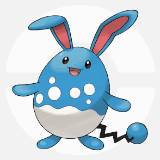 Learn about the recommended Pokemon to be used in the Super Singles Format of the Battle Tree! What is the Battle Tree? This article contains information on recommended Pokemon, effort value allocation, moves, held items, as well as tips on team-building, etc. in order to obtain BP to exchange for items such as new held items and Mega Stones for Pokemon Sun and Moon. After finishing the Main Story, the Battle Tree can be accessed. This area pits you against several trainers chosen at random. If you defeat a trainer, you obtain BP (Battle Point). If you compete in the Battle Tree, you are tasked to challenge in a row. Thus the trainers you will face are chosen at random therefore you have to build a formidable party that can handle different situations. In order to form a balanced team, you have to assign roles to each of your Pokemon. Pokemon that will appear in the Battle Tree vary in terms of species, moves learned, held items, effort value investments, and natures. If you can jot down the styles, it will be much easier to narrow down what kind of opponent you will be battling against. The problem however is that the Nature of the opponent cannot be easily determined, therefore it is important to adjust accordingly. When battling inside the Battle Tree, the Pokemon’s level will be adjusted due to the rules. This is different from the Main Story where there can be gaps between your Pokemon’s level and your opponent’s. Keep in mind however that the opponent is computer-controlled. As a result, the AI has a distinct pattern when deciding what moves to use which makes it easier to predict once you have gotten used to it. An example of this is that the opponent doesn’t switch often even if you take advantage of cycling Intimidates and Fake Outs. Using moves that increase your Pokemon’s stats or decrease your opponent’s are beneficial in order to gain advantage in battle. If you can defeat several opponents with a buffed Pokemon, this is referred to a sweep. An example is Swords Dance which doesn’t lose its effect even if you defeat the opponent. If you are able to stack normally you only buff with one buffing move since having several buffing moves will oppress the move slot, you could still breakthrough even if your opponent has a type advantage. Keep in mind that luck is part of the game, and this includes critical-hits and events when certain moves miss hitting the target. However, in order to increase your chances of winning, you should not allow the opponent to boost his luck further. Some tips include: using strong STAB moves that have consistent accuracy, equipping a Lum Berry to prevent status ailments, and carrying increased priority moves to counter Focus Sash. Battle Tree has no ending, in other words if you have been defeated you have to start over and try to surpass your previous streak. Some opponents may gain advantage by using Quick Claw and Explosion which allows them to win even though they just sacrificed their last Pokemon to knock out yours. Others may successfully finish off your Pokemon by using one-hit KO moves like Fissure after avoiding an attack through their held item Bright Powder. These instances cannot be avoided entirely during your battles in the Battle Tree. Thus you should mitigate these risks through keen observation of the opponent’s pattern of move choices. In addition, as mentioned above the opponent might have been lucky. Continue to hone your skills in battling to maximize your chances of preventing these events. It has high Attack and Speed stats, complemented with decent defense relative to its offense. It’s recommended as a Physical attacker. Apart from its stats, it does not solely rely on Mega evolving, which make it compatible to equip various items depending on which is desired. 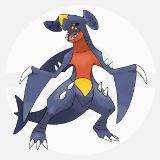 Garchomp’s Hidden Ability Rough Skin is recommended. Its Hidden Ability Multiscale halves the damage dealt by the opponent when Dragonite’s HP is full. This ability provides an opportunity to stack its buff move Dragon Dance to aim for a sweep. 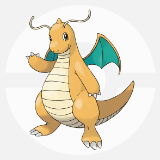 The recommended items for Dragonite are Lum Berry or a Flyinium Z + Flying-type move. Unfortunately, Extreme Speed is unavailable until Poke Bank comes out. It has high Attack, Defense and Speed stats. Its Defense is patched up further by its Ability Intimidate when it is first sent out. This provides a great opportunity to set-up its buff move Dragon Dance when conditions are favorable. 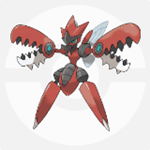 After it Mega Evolves, its ability will change to Aerilate which changes all Normal-Type moves to Flying-Type. 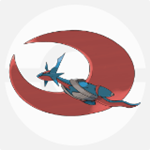 This allows Mega-Salamence to take an offensive role due to STAB. 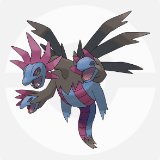 In spite of Hydreigon’s weaknesses, it is nevertheless a good-typing to complement its allies. With high Sp.Attack, Speed, and a wide movepool, it makes a great choice as a special attacker. One of the recommended items are: Choice Scarf which is effective on single battles, and Assault Vest when emphasizing switching performance. It sports good durability and a high Attack stat. Similar to Salamence, it can aim for a sweep with Dragon Dance due to its possession of the Intimidate ability prior to Mega Evolving. Once it Mega Evolves, it gains the Mold Breaker ability which bypasses opponents having the abilities Sturdy and Levitate to deliver a KO. Its improved defenses upon Mega Evolving should be taken advantage of by allowing it to switch-in on several offensive threats using Intimidate. It has high Sp.Attack and Speed and a wide movepool. Equipped with a Focus Sash, it can survive a turn and score a knock out or two. In addition, it is capable of taking an opponent down with it using Destiny Bond. Gaining advantage in numbers can easily be done since a Gengar can take out 2 opponents. Another strong point is that it can be after switched against a Fighting-type. Since it prevents any damage it takes first with the ability Disguise, it can be after switched against many opponents. Switching on Normal, Fighting and Dragon types is advantageous as it resists their attacks due to its great typing. 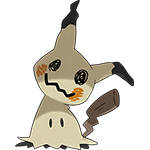 Mimikyu can survive another turn by equipping a Focus Sash once its Disguise wears off which is effective on the Singles Format. If there’s an opportunity, it can buff with Swords Dance and aim for a sweep. If you can use its ability Stance Change properly, it can be effective in battle. During shield form, it can avoid taking any damage. 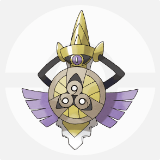 One of its recommended moves is King’s Shield. When this move is used, it can effectively decrease the enemy’s attack stat by 1 stage when it’s hit by a contact move. This opportunity allows it to buff using Swords Dance. In addition, this form makes Aegislash more durable which allow it to safely switch-in to sponge an enemy’s ineffective attack. Other recommended moves are: Shadow Sneak which is boosted by STAB; and Sacred Sword which provides additional type coverage while ignoring the opponent’s defense and evasion buffs. Since it’s very weak against stat ailments, anticipating enemies style is very important. It has great durability and tolerance due to its typing making it an effective team player. If it can set-up Swords Dance buffs, it can finish off most weakened opponents as a late game sweeper using the move Bullet Punch since its boosted by the Technician ability. In terms of effort value investment, it can capitalize on maximizing Attack to achieve maximum damage; or invest on defenses to emphasize on buffing and switching. In terms of stats, its highest are Attack, and Defense; with Speed and Sp. Attack falling only a few points short from them. 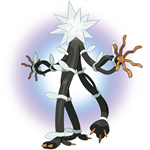 It has a massive attack for a Steel-Type, however be wary of the high power physical STAB moves as they have low accuracy. There are a number of strong points such as: its great Water-Fairy Typing which is complemented by decent defenses and offense through its Huge Power ability. It makes a great teammate due to the above mentioned features. Its move Aqua Jet deals a good amount of damage due to its STAB, ability, and priority. It works great for the singles format due to its dual-typing which lessens the damage received from Steel-Type Pokemon. For this reason, it functions as a great ally for Dragon-Type Pokemon. Its great typing and high base Speed stat are its strong points. With its Electric Surge ability, it sets an Electric Terrain on the field which powers up Electric-Type moves and prevents any Pokemon from being put to Sleep. It provides a wide type coverage against common opponents belonging to: Dragon, Fighting, Flying, Water and Dark-Type Pokemon. The Psychic Guardian Diety has high Sp. Attack complemented by its Psychic Surge ability which boosts Psychic-Type moves. Once it has set up the Psychic Terrain, it stops the use of priority-moves for a number of turns. This is beneficial for allies that are fast but only have 1 HP left. It has a huge type advantage against Fighting-Type Pokemon. However it needs to be wary of Steel-Types which resist both of its STAB moves, therefore it’s recommended to have a Pokemon that can cover its weaknesses such as Fighting, Fire, or Ground-Type Pokemon. Its second highest base stat is Sp. Defense which makes it also effective as a Sp. Defensive shield. It is capable of putting offensive pressure due to its exceptionally high base Speed stat, and offenses: Attack and Sp. Attack. Since its defenses are frail, it can be remedied by equipping it with a Focus Sash. If it can take out an opponent, its ability Beast Boost will grant some increase to its offenses, this could allow it to aim for a sweep. 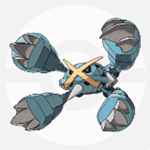 Due to its already high Base Speed, it’s better to capture one with an Attack-increasing Nature such as Lonely. Its Base attack stat is exceptionally high, which is complemented by its Tier 109 Base Speed. Focusing on offensive moves alone, it can still gain a buff through its ability Beast Boost if it can take out an opponent before going down. Although it also has a high Defense, its HP is lacking. Due to its frail Sp. Defense stat, be wary of the opponent’s Special attacks. 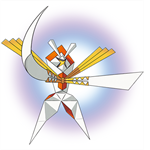 Since it’s not viable to run a defensive role, it is recommended to prolong its longevity by equipping Kartana with a Focus Sash. If you can activate its Beast Boost ability, you can finish off several slower opponents. Since it has superior durability and resistance, it has high switching performance. 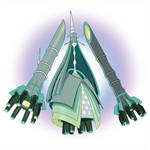 With a weight of 2204.4 lbs, it is recommended to teach Celesteela the STAB move Heavy Slam. With this move, it can deal a tremendous amount of damage without any Attack EV investment. By capitalizing on its high base Defense stat, it can replenish damage by using the move Leech Seed, etc. 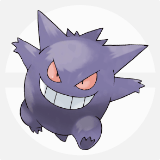 The strategy is to use a held item which boosts Gengar’s STAB moves to take out Pokemon that can threaten one of its allies such as Garchomp’s Fairy-Type weakness. In addition, Garchomp and Scizor also cover each other’s weaknesses. When a faster Psychic-Type Pokemon is sent out against Gengar, it is recommended to switch out to Scizor as it resists Psychic-Type moves. 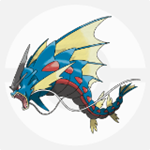 Lead with Dragonite and use Dragon Dance when the condition is favorable and aim to sweep. If the opponent threatens Dragonite, it is recommended to switch to the appropriate counter that can tank the hit. If Dragonite can defeat two opponents, Mimikyu can finish the last one with its ability Disguise and held item Focus Sash. Since Tapu Koko has high speed and attack, and in addition great typing, it makes an effective lead. When the opponent uses Pokemon with a Ground-type move, switch to Salamence to weaken it with Intimidate and aim to sweep with Dragon Dance buffs. If the opponent sends out a Pokemon with a Poison-type move. instead, switch to Aegislash. Since Tapu Koko’s Electric Terrain can be a counter against the enemy’s hypnosis tactic. 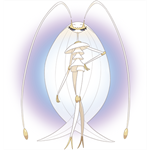 As a fast glass-cannon, Pheromosa can further increase its chances of sweeping if it can outrun its opponents and take them out efficiently. With two Ultra Beasts that possess the same ability, Beast Boost, and a Dragon Dance buffing Gyarados; it forms a team that capitalizes on taking advantage of buff and boosts..
Take advantage of Gyarados’ Intimidate ability first before deciding to Mega Evolve. Put Kartana at the first slot of the party and try to deal as much damage as you can. Make sure to switch when the enemy uses a Fighting or Fire-type Pokemon. 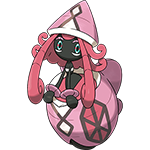 Switching in Tapu Lele is advised in order to protect Kartana if you suspect that there are priority moves that might finish it off. Keep in mind that these would only last for a limited number of turns that Psychic Terrain is activated. This guide has been super helpful! Finally reached Battle Legend (Battle No. 50) in Battle Tree for Super Single. You’re welcome, that looks like a pretty solid Steel-Fairy-Dragon core. Hi, sorry for the typo, it should be Substitute! We will be updating this shortly. Thanks for the reminder! Thanks for sharing! These are just suggested movesets, to be honest I have not encountered a full physical Mega-Salamence set even on wi-fi, it’s either special with Draco Meteor or mixed with both moves. I have never seen anything other than full physical mence. Double edge + EQ has almost perfect coverage, and Sub makes your strategy shenanigains proof. Is this for wi-fi too? I usually go on the VGC format so I usually encounter one with a slot in Draco Meteor.